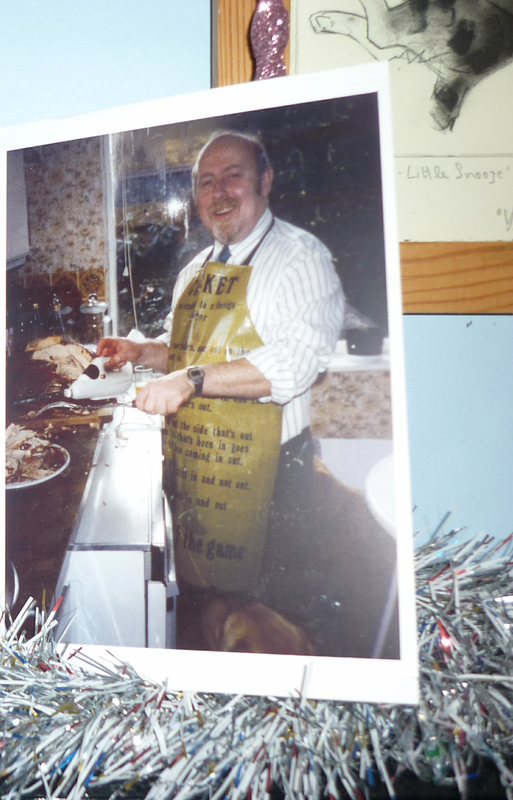 Cooking at Christmas is something that, from my childhood, was an immense task. Our family didn't live too far apart so often there would be a least a dozen (sometimes more) for lunch on Christmas day. Preparation started early (just imagine the size of the turkey for that many people). My father was always king of the kitchen, although my Gran (his mother), and my mother (Queen of the roast potatoes) would also pitch in. My other Gran would make a pudding (boiled in muslin old school) and a cake; shame these are things I've never been fond of. When it comes to my own Christmas, I only have to cook for two; my husband and I. Mostly I buy ready prepared that just needs putting in the oven. Occasionally I make stuffing (although the pre-made stuff is actually nicer)! I don't bake cakes, pies, or puddings. The most cooking I do is scrambled eggs for breakfast (mine with smoked salmon). I do cook when my Mum comes to visit after Christmas, usually a casserole as it can be left to its own devices whilst you enjoy times with guests. Sorry I can't offer you any recipes - even bread sauce and cranberry sauce come out of a packet and a jar!